A group of troubled teens from a low-income community resolve to break into Los Ricos, the local mansion with a border fence, in order to forget their difficult lives and experience a different one. Laura is originally from Pasadena, TX. A graduate of NYU's TISCH School of the Arts, Laura's work has been highlighted at The W Hotels, UCLA Medical Center, American Theater Magazine, New York Magazine and Vanity Fair. 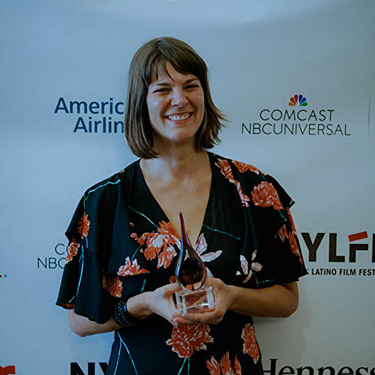 Her films have played at festivals around the world and her work has received financial support from IBM, the Austin Arts Commission, and Banana Republic. Between 1999 – 2001, she was Co-Artistic Director of the critically acclaimed award-winning theater company the dirigo group in Austin, TX. Having directed over 30 plays, her work with the dirigo group was honored by American Theater Magazine as one of twelve rising American theater companies “to watch” that were “hot, hip and on the verge”. She recently was named as one of SHOOT Magazine's up and coming directors of 2016.